In the past decades, there has been a significant increase in diabetes diagnoses in cats. 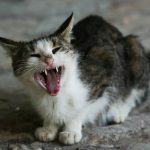 It is most commonly suggested that this increase is due to a sedentary lifestyle and the carbohydrate-rich commercial food that cats eat these days. 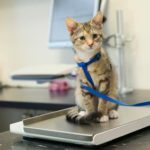 Although cats are most commonly diagnosed with diabetes when they are eight years old or older, diagnoses are also seen in juveniles as young as one year of age. The bottom line is that any cat can be affected. Frequent litter box visits and elimination out of the box. We have already talked about how important it is to take note of your cat’s behavior changes. Cats don’t show their weaknesses, and early signs of most diseases can be seen as small alterations in your cat’s behavior. With diabetes, the most common first sign is frequent urination, since the body is trying to decrease blood glucose levels. 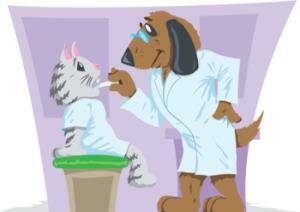 Increased urination can be seen as frequent litter box visits and, very commonly, as urination out of the litter box. The latter is not only an early sign of diabetes but a sign of other feline diseases as well. Therefore, it’s always a good idea to start with a vet visit when your cat suddenly develops litter box avoidance. Increased water consumption. Since your cat produces so much urine, she is also losing a ton of water, right? 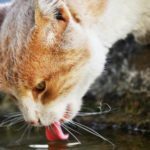 We often talk about the necessity of pouring fresh water in your cat’s bowl daily, not only because your cat wants fresh water but also because doing so lets you monitor how much your cat drinks. In general, one should be concerned if an average 5-kg cat on a dry diet drinks more than 230 ml (7.7 fl.oz) of water per day. Numbers are less for cats on a wet or mixed diet. If you suddenly see an increase in your cat’s water consumption, or if you notice that one of your cats starts to visit the water bowl more frequently, it’s a good idea to visit your veterinarian. Increased appetite, followed by anorexia. Diabetes is generally characterized as high blood glucose that does not reach the cells because of inadequate insulin secretion. If your cat’s cells receive too little glucose, his body signals that there is a deficiency, and your cat eats more. However, this will soon develop into anorexia. If you notice a sudden increase in your cat’s appetite, medically known as polyphagia, you have a gazillion reasons to visit a vet immediately. Decreased weight, followed by obesity. Despite eating more, a common early sign of diabetes in cats is a decrease in weight, because cells are not receiving glucose and the body begins to burn fat. The weight loss will soon be replaced by weight gain as the diabetes progresses. 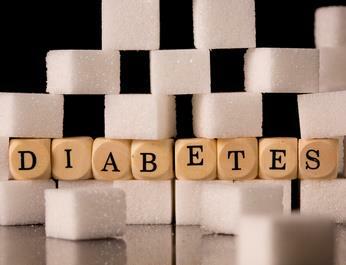 Note: Many cats that are diagnosed with diabetes are usually overweight in the first place. Even then, a sudden weight drop is noticed. However, rapid weight loss may also point to other medical disorders. If you notice any of the early signs of diabetes in cats, visit a veterinarian ASAP. Since it’s easy to miss early signs, we’ll also list the most common later signs of diabetes in cats. We already mentioned anorexia, which comes after increased appetite, but there is also lethargy, vomiting, obesity (with a recent weight loss) and oily coat with dandruff. Of course, any of these signs may be caused by numerous other conditions, but they are always a good reason to visit the vet, especially if you’ve seen any of the early diabetes signs in the recent past. The purpose of this article is not to get you worried out of your mind. You don’t have to follow your cat around and spy on him for signs of diabetes. 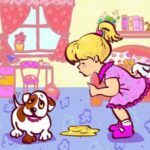 What you do need to do, however, is learn to recognize that litter box habits, changes in appetite and water consumption, and other changes should not be taken lightly, and a vet visit is always recommended at the tiniest of doubts. These measures won’t hurt your cat; rather, they could save her life. Would you recognize signs of hyperthyroidism in cats?